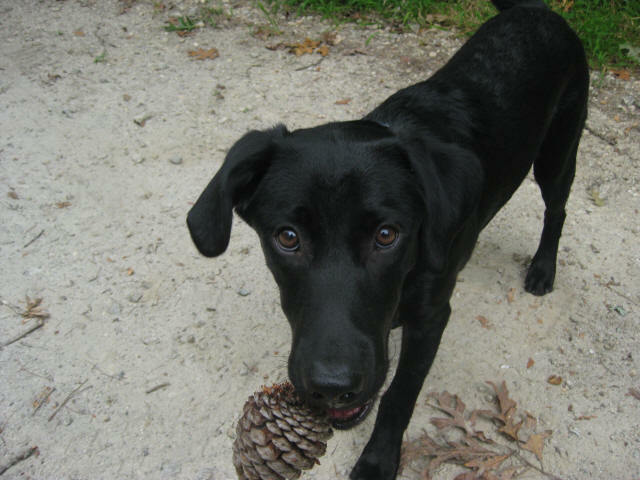 I miss my dog – not that I don’t have a new one, but I can’t forget my old one. It was 18 months ago, when Rebel sat outside the door watching me pack for a hike to The Perch in North Georgia. He died within ten days of that trip, and I vividly recall (and photographed) him sitting by my shop door – barking as if to join me. Arthritis kept him from the trail in his later years, but he never gave up hope that I might take him along. I have a new dog now, and he too has taken to the trail – as all dogs do. Boone made the hike to the Perch last fall much as Rebel did five years earlier. He had a great time, and I enjoyed having Boone with me. But Rebel is never far from my mind. He’s still with me in spirit. He still hikes with me every trip. Gone – but not forgotten as they say. We all must move on at some point, and I decided the time had come. So on what would have been Rebel’s 14th birthday, my wife, kids and I scattered his ashes on a grave site that we set-up in the backyard. Beneath it were buried some of his possesions: a personalized water dish (made by my wife in pottery class), his tennis balls, a blue bottle of old arthritis medicine, his toothbrush, an old stuffed toy, etc. I put them there one year after he died in November 2011. Boone and the kids stood nearby, but my wife and I were the only ones to fully appreciate the moment. 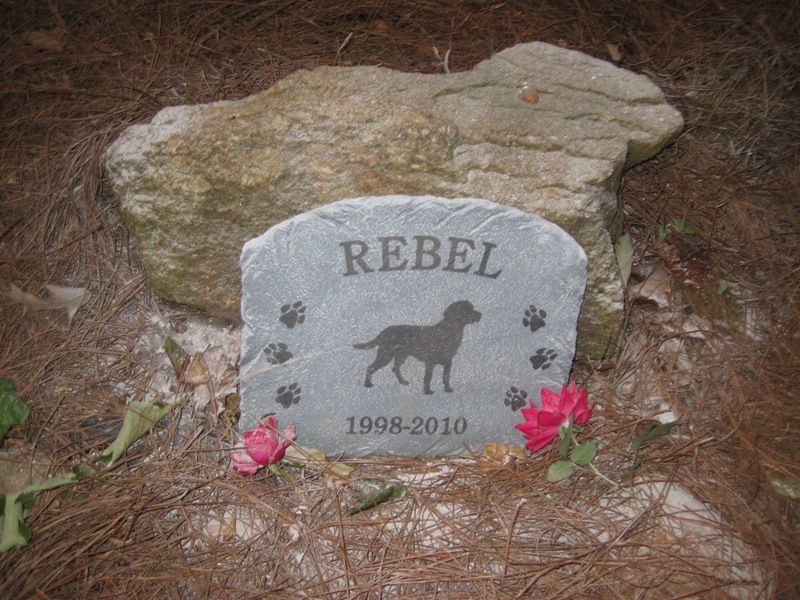 It has always been our plan to scatter Rebel’s ashes on the trail. So, I saved some for the second anniversary of his death. I have a photo of Rebel taken on the trail in November 2002 where he appears to descend from the sky. That is the spot for his final resting place. This November my wife and I will scatter his remaining ashes for the last time – and I will finally let him go. Farewell my friend.